London conference and events venue the QEII Centre has strengthened its in-house catering team, QEII Taste, with the appointment of Sous Chef Leah Hardy. Following the appointment of Jean Michel Viala from The Dorchester as head chef in 2016, and investment into a new chef’s table tasting room last year, QEII Taste has welcomed several new team members to deliver creative and innovative catering to events at QEII. Leah Hardy joins the team as Sous Chef, having previously worked with head chef Jean Michel Viala at The Dorchester. Originally from Brisbane, Australia, Leah spent nine years at The Dorchester before looking to take on a new challenge at the QEII Centre. One of Leah’s key responsibilities is developing new healthy menu options, including more gluten-free and vegan options to meet increasing delegate demand. Also joining the QEII Taste team in recent months are Richard Glover as head of events and Sara Bolognini and Rebecca Bentham as event managers, while Elias Belkis has been appointed to the Sanctuary team. For more information about the QEII Centre, call 020 7798 4000. Contact the 8 Northumberland Avenue team today about your next event on, events@8northumberland.co.uk. 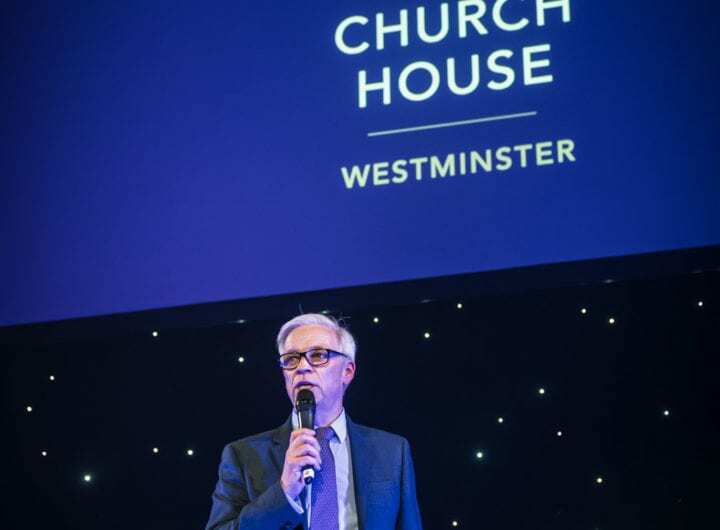 Paul Martins, board member at Westminster Venue Collection and director of sales at Cavendish Venues, has been elected as a council member of the Meeting Industry Association (mia). Westminster Venue Collection boasts a wealth of properties with a strong background in academia. Many of these illustrious venues not only boast state-of-the-art meeting and conferencing facilities, but also share links with associations dedicated to improving the world’s knowledge of science, engineering, technology and art. Here we place the spotlight on six of the most iconic. This Central London 18th Century Grade 1 Listed building is home to the Institute of Contemporary Arts, a membership organisation that encourages an understanding of radical art and culture. From its site on The Mall the ICA regularly hosts contemporary art exhibitions, film screenings and events, but also offers a range of flexible spaces for hire, including two cinemas, a theatre, two regency reception rooms and a studio that can be adapted to suit the needs of any event. Savoy Place has been the home of the Institute of Engineering and Technology since 1871 (previously known as the Society of Telegraph Engineers and the Institute of Electrical Engineers) and advancing and sharing knowledge about science, engineering and technology remains at the heart of the IET’s purpose today. A refurbishment of the building, which was completed in 2015, means the venue has a number of improved and enhanced meeting and events spaces, including a new 451-seat theatre, new-styled reception rooms and reconfigured floor space to optimise panoramic views of the Thames. This world-class university, founded by Prince Albert, is renowned for its excellence in science, engineering, medicine and business. The campus in South Kensington also offers an extensive array of spaces for hire, from modern 740-seat theatre-style conference venue The Great Hall to the Grade II listed townhouse 170 Queen’s Gate, which boasts a secluded courtyard garden and multiple rooms designed for meetings, executive dining, training sessions and small conferences or symposiums. Originally built for Bedford College in 1849, the campus at Regent’s University was home to a number of educational institutions until it formally became a University in June 2013. It now runs degree courses in many areas including business and management, languages, and fashion and hosts students from 140 different countries. The campus overlooking Regent’s Park also offers a wealth of indoor and outdoor conference and event spaces, from the 370-seat Tuke Theatre, to Herringham Hall, with capacity for meetings of 120 delegates. Four acres of landscaped lawns and a secret garden can be used for summer events, including drinks receptions and team building. The Royal Institution’s links with science stretch back to 1799 when it was established to ‘diffuse science for the common purposes of life’ and the Grade 1 Listed building on Albermarle Street in Mayfair was where scientists such as Humphry Davy, Michael Faraday, John Tynda and George Porter discovered 10 chemical elements, won 14 Nobel Prizes, made world-changing discoveries in the laws of electromagnetism and molecular biology, and pioneered public science lectures and science events for children. Today, it is the home of the Ri charity, which works to connect people with the world of science, and boasts eight event spaces for hire, including the Faraday Lecture Theatre, which can accommodate between two and 720 guests. Home to the UK’s national science academy, with a fellowship of some 1,600 of the world’s most eminent scientists, including Richard Dawkins, Tim Berners-Lee and the late Stephen Hawking, The Royal Society’s headquarters on The Mall is not only a scientific hotbed, but also a comprehensive meetings and events venue. Twelve rooms, all boasting natural daylight, air conditioning and WiFi, with capacity for between 10 and 800 delegates, are available for hire. Westminster Venue Collection member venues, Regent’s and King’s Venues – Bush House, announce key appointments this month. Regent’s Conferences and Events is delighted to welcome a new conference and events coordinator to its team, Filippo Viti. Filippo joins the venue from a similar role at Park Plaza Hotels & Resorts. At Regent’s Filippo’s main function is to manage external client relations, from initial sales to planning and on-the-day execution. Originally from Italy, Filippo has a Masters degree in business communication. He has previously worked as a lecturer and for a communications company before moving to London nine years ago. LaiHa Diamond joins King’s Venues as venues and events sales manager for King’s Venues – Bush House. In her new role, LaiHa leads the proactive sales and marketing strategy to increase market share in the hospitality market. With 18 years of experience across PR, marketing, event management and sales, LaiHa joins from Kingsway Hall Hotel where she was senior proactive sales manager. Other previous places of work include, Town Hall Hotel in Shoreditch and the Hotel Indigo Earls Court. LaiHa’s experience lies in establishing and growing client relationships across the hospitality, travel and MICE sector. Cavendish Venues exhibited at the Buyers Network Club (BNC), securing 31 enquiries and generating 260 new contacts. The event, which took place last month at The Brewery, offers a great opportunity to network with other event professionals. Paul Martins and Mariam Khan were delighted to speak to so many event buyers on Cavendish Venues’ stand.